Are you looking for last minute gift ideas? 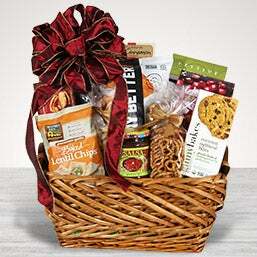 We have a variety of gift baskets for everyone on your list! From fruit and snacks to crackers, cheese and chocolate – we have you covered. Our nationwide network of high-quality flower and gift shops ensures same-day gift delivery for all orders placed before 1 PM Eastern Time, Monday through Friday. The quantities will vary depending on which size basket you choose. We have Classic, Premium, Deluxe, Ultimate and Signature baskets available to order. All our baskets are custom made, so each one is different! We use all fresh fruit - in season and local availability. 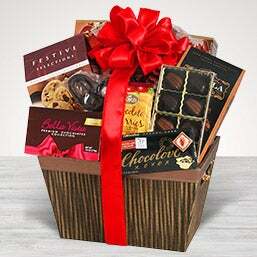 Our same guarantees are in place but with the added convenience of same day gift delivery. This product cannot be purchased using any discounts and/or promotional codes. Can I Order a Last-Minute Gift? If your office is having a last-minute meeting or unexpected clients or guests arrive, we have all our basket sizes ready to be shipped to your home or office. Saving you time and stress! Birthdays, graduations, retirement or just getting the gang together! Wow everyone with a gift basket of treats! 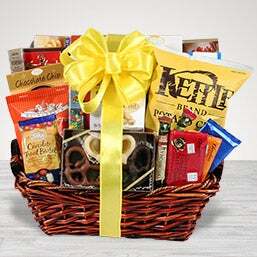 Rest assured, you can count on GourmetGiftBaskets.com to save the day so you never let a momentous occasion go uncelebrated. Your last-minute gift will be delivered on time and will be handcrafted with care. They’ll be so impressed with the quality of the gift and bonus, they’ll never know that you forgot. Our same day gifts are also just the thing when you can’t be there for them in person. 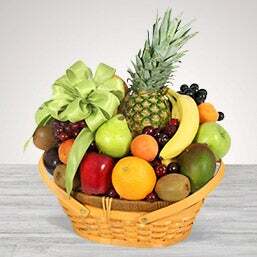 Sending a fruit basket, snack basket or a basket full of chocolate lets them know they’re in your thoughts. 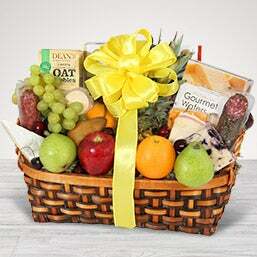 All our baskets are made to order and will bring a smile to the faces of all your guests or coworkers! And with five sizes to choose from, you simply can’t go wrong! 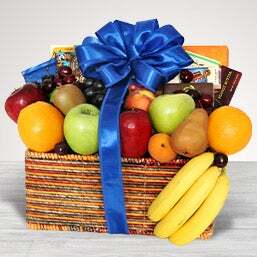 So, whether you need to say get well for a speedy recovery, sending condolences, or the news is happy with birthday or congratulatory thoughts, the gift will be hand delivered that same day and will be just what your recipient needs.